(MoneyWatch) Monday's jump in Spanish bond yields could not have come at a worse time for Madrid. Spain this week will hold two crucial bond auctions. If the European Central Bank doesn't buy a lot of those notes, the cash-strapped nation will have to pay a lot more to borrow money it desperately needs. The yield on the country's 10-year sovereign debt rose to 6.14 percent on the secondary markets Monday, having ended last week at 5.65 percent. Spain is set to auction short-term notes Tuesday and sell a mixture of two and 10-year bonds Thursday. The cost of insuring that debt also spiked. At midday, Monday credit-default swaps tied to Spain's bonds jumped 19 basis points to 521, according to CMA. 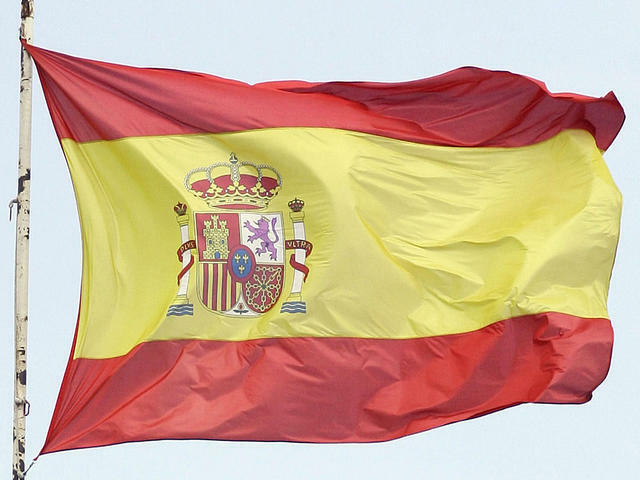 This means it will cost $667,340 to insure $13 million of Spanish government debt annually in a five-year period. Swaps pay the buyer face value in exchange for the underlying securities or the cash equivalent should a borrower fail to adhere to its debt agreements. The 6 percent bond rate is the highest since December, when the European Central Bank began a program of loaning money to EU banks. Spanish banks were major participants in the program, which pumped more than $1.3 trillion into Europe's financial system and ended in February. The banks used much of the money to buy Spanish government bonds which kept yields low for the first quarter of the year. Spain's collapsing economy poses risks to U.S. The conservative Spanish government, elected in December, has cut government spending severely and its debt is currently only 61 percent of GDP, far less than those of Italy, Greece, Portugal, Ireland and even France. However, unlike France or Italy, Spain's economy has fallen apart. The unemployment rate is over 23 percent, it's in the second recession in three years and its banks are just now feeling the impact of the real estate market's collapse. Although Spanish bonds were only a half-percent higher Monday than when they closed on Friday, the 6 percent number is a red flag in the markets. Last year when Spanish and Italian bonds crossed that mark it started a rush in investor selling, which drove yields up even further.